PLANO, TEXAS. (March 26, 2013) - Director Xiaogang Feng follows up his blockbuster movie, Aftershock, with Back to 1942 , an unflinching portrayal of one of the darkest periods in China's history. The thought-provoking film debuts on Blu-ray(TM), DVD and Digital May 14th from Well Go USA Entertainment. Starring Academy Award(R) winners Adrian Brody (Best Actor, The Pianist, 2002) and Tim Robbins (Best Supporting Actor, Mystic River, 2003) this tragic retelling of historical events is based on Zhenyun Liu's best selling novel Remembering 1942. The Henan province disaster, where three million people died of starvation, was a humanitarian crisis first sparked by drought, then compounded by a combination of windstorms, government corruption and a war with Japan. In the midst of the devastation, an American journalist (Brody) searches for answers, and slowly comes to understand that there may be a greater connection between these tragedies and his political theories than he once thought. The film also stars Daoming Chen (Aftershock), Xu Fan (Aftershock), Fiona Wang (Aftershock, 1911) and Zhang Guoli (The Founding of a Republic). During the 1942 famine, with his house beset by starving villagers, Landlord Fan (Zhang Guoli) attempts to calm the crowd by preparing a feast. However, his house is burned down in the chaos, prompting Fan, his teenage daughter (Fiona Wang), his servant (Zhang Mo), and his tenant (Xu Fan) to embark on a treacherous journey south, struggling for survival as war with Japan looms on the horizon. Along the way, they encounter an American journalist (Adrian Brody), a judge (Dan Wei) and a priest (Zhang Hanyu) who has lost his faith. Each meeting reveals the true depth of the despair that grips the country, but the hardships along the way prompt Fan to make some devastating sacrifices that leave him a broken man. 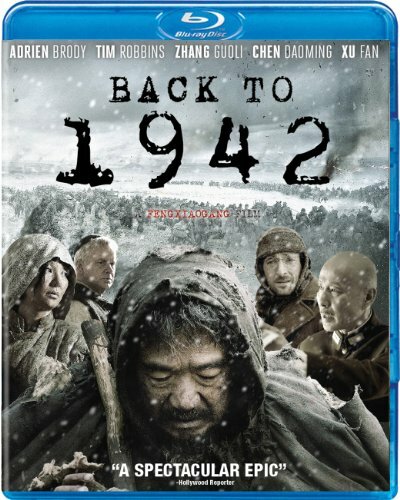 Back to 1942 has a runtime of approximately 151 minutes and is not rated. For more information, please visit www.wellgousa.com.